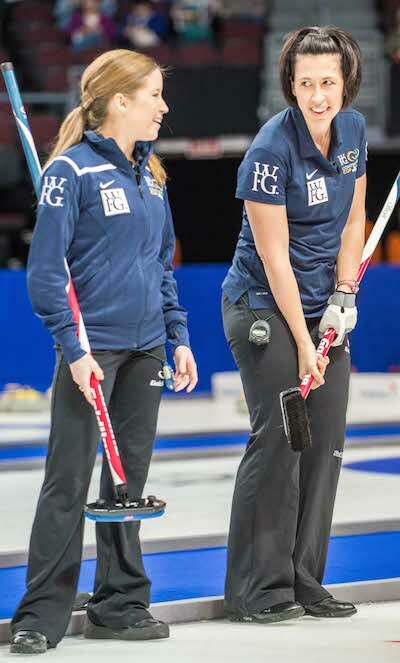 LAS VEGAS — Team World is still in the race at the 2014 World Financial Group Continental Cup at the Orleans Arena. 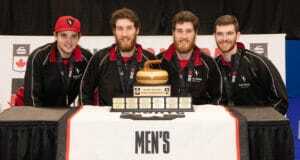 Taking on Team North America in curling’s version of the Ryder Cup, Team World earned a split of the three points up for grab on Friday morning during traditional team games. 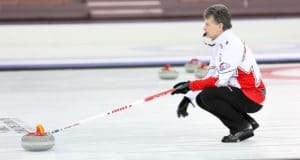 The result left Team North America with a 7.5-4.5 lead in the most unique event in curling, featuring teams battling in traditional team play, mixed doubles, singles and skins formats. A total of 60 points are up for grabs, and the first team to reach 30.5 will win the WFG Continental Cup. The half-point came out of nowhere on Friday morning. Team North America’s Rachel Homan (Ottawa) had a two-point lead and the hammer in the eighth and final end, but flashed on her last-rock hit attempt to give Team World’s Satsuki Fujisawa (Japan) a stolen deuce to tie the game 5-5. With no extra ends in the WFG Continental Cup, each team was awarded half a point in the overall standings. World champ Niklas Edin of Sweden, meanwhile, posted a full point for Team World thanks to a 7-3 win over Team North America’s John Shuster (Duluth, Minn.). Edin’s team scored three in the third end and two more in the fifth and never looked back. 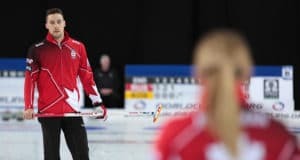 In the other Friday morning tilt, Team North America’s Jennifer Jones (Winnipeg) bounced back impressively from an opening-day loss to Team World’s Eve Muirhead. 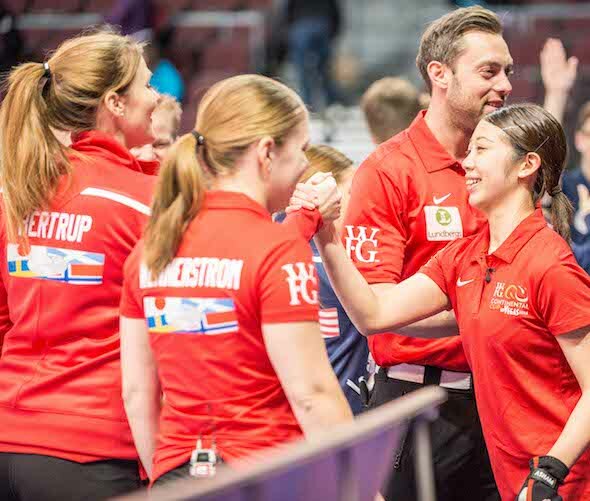 Jones stole two in the first end and three more in each of the third and fourth ends for a 9-3 win over Team World’s Margaretha Sigfridsson (Sweden). There are two more draws on Friday: the singles competition at 1 p.m. (all times Pacific) and another traditional team draw at 7 p.m.
For the six mixed doubles and six singles matches, one point will be awarded for each victory, one-half point if tied. There will be 18 team games (nine men’s and nine women’s) played, each worth one point for a win and a half-point for a tie. All games are eight ends and there are no extra ends. There will also be six skins games (those matchups will be decided on Saturday), with each game worth a total of five points to the winner. TSN (RDS2 in French), the exclusive television network for the CCA’s Season of Champions, will provide complete coverage of the WFG Continental Cup.